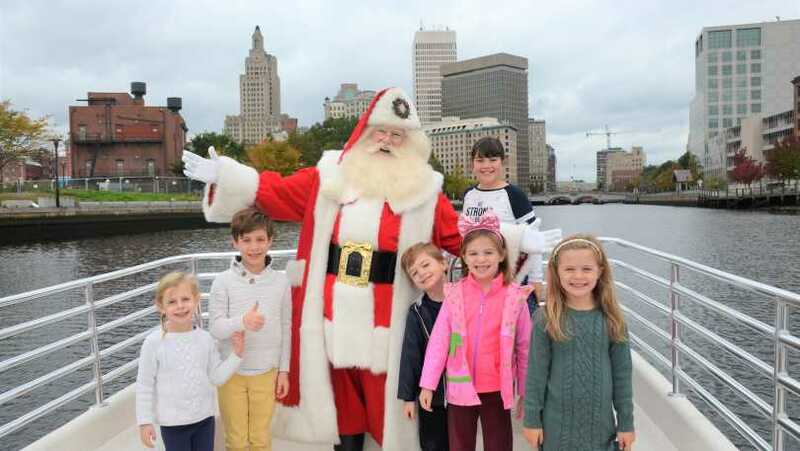 Climb aboard for a 30-minute boat ride along the Providence waterways with Santa! 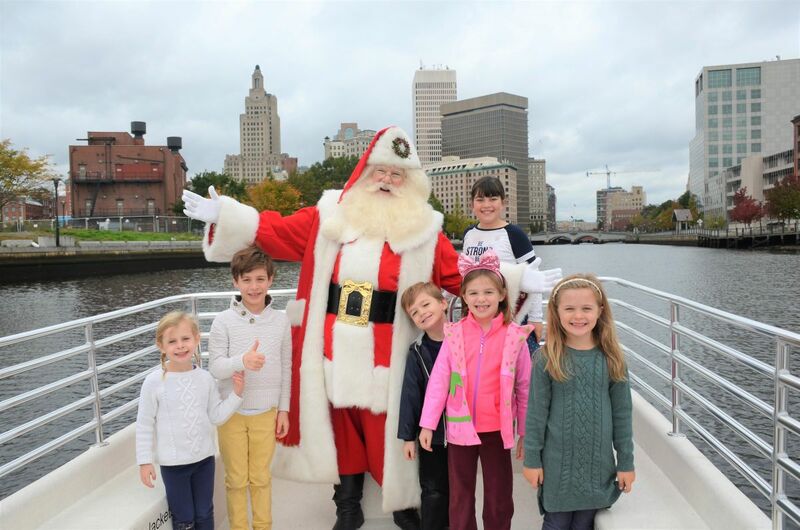 The Big Guy himself will be listening to your Christmas wishes as we cruise throughout Waterplace Park, Riverwalk & the Providence River. This is one of our favorite days of the year, so don't miss out on the holiday cheer! Take all the FREE pictures with Santa as you wish! 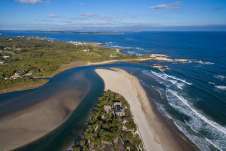 We also take photos and email them to you, free of charge. Enjoy our complimentary hot cocoa bar, holiday treats and holiday-themed activities before or after your ride with Santa! 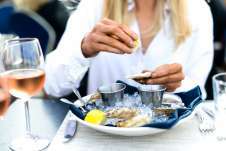 Dress appropriately, as our boats are not covered.